Welcome to the Civil War in St. Louis tour. You're about to set out on an exciting journey that will allow you to step back in time and imagine the sights, hear the sounds, and experience the complex emotions of those who lived through one of the most tumultuous eras in our country’s history. But, before you begin, let's explore what life was like in St. Louis in the years before the Civil War. The 1840s and 1850s were a time of rapid growth and change for St. Louis. In 20 years the city’s population exploded from fewer than 15,000 people to more than 150,000. A riverfront filled with steamships and railroads heading in all directions helped position St. Louis as the most economically important city in the state. The city was also home to a wide variety of people and opinions. Many St. Louisans had southern roots and sympathies. Other residents—especially a new wave of German-born Americans—had fierce Union loyalties. Both enslaved and free African Americans lived and worked in this city. And some prominent characters in the theater of war, both Union and Confederate, called St. Louis home. St. Louis’s growth had drastic consequences. New financial and industrial leaders in the city competed with influential slaveholders from central Missouri. 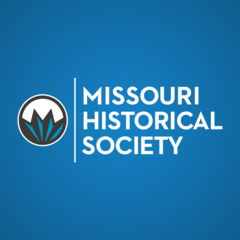 As conflicts over money, control, and the issue of slavery were beginning to wrack the country, hostilities were also taking shape in Missouri. The stage was set for Civil War. This App is based upon the book, The Civil War in St. Louis by William C. Winter. ©Missouri History Museum. Lament for the Death of Rev. Archie Beaton, Adam R. Sweet; Cooley's Reel, Adam R. Sweet; Frosty Morning, Tom Joad; Shady Grove, Tom Joad; Cluck Old Hen, Tom Joad; Billy in the Lowland, Candy Goldman, Greg Canote and Jere Canote; Seaside Sunset Serenade, Tom Joad, Gerry Dempsey and Ragtime Larry; Pretty Little Dog, Tom Joad; Liberty, Tom Joad; Boatman 1999, Tom Joad; West Fork Gals, Tom Joad; June Apple, Tom Joad. A Lament and Strathspey, Jerald Franklin Archer; The Lass of Patty's Mill, Jerald Franklin Archer. 20070808-horse, dobroide; Civil War drummer, DrumM8; Cotton flapping, Benboncan; White noise city library reading room, klankbeeld; Marching boots in room, klankbeeld; Gentle sea on flat beach, digifishmusic; Fire crackling, dobroide; Fire burning, JaBa; Barrel organ of carousel, klankbeeld; Warfare drums, jobro; Herat-3, ERH; Large hall ambience with school children, digifishmusic; Cough 001, sandyrb; Gunthing, steveygos93; Achaidh Cheide (ISRC US-UAN-11-00340), Kevin MacLeod. The Concert #11 - Mozart's 'Haydn' Quartets, Isabella Stewart Gardner Museum.